Health and Safety - Kitchener-Waterloo Oldtimers' Hockey Club Inc.
Get physical; run, walk, bike, swim etc. First aid kits are available at every game and are with the timekeepers. First Aid, CPR, AED, Contact your Health & Prevention committee for details. See your handbook or contact Steve Lyon for further information. If any signs or symptoms of a concussion are suspected they should not be permitted to return to the game and seek medical attention, such as family physician the next day. Special attention to those who are on blood thinners such as (warfarin, elicit, xarelto, pradaxa, plavix) as they may be at increased risk of brain bleeds from head injuries. 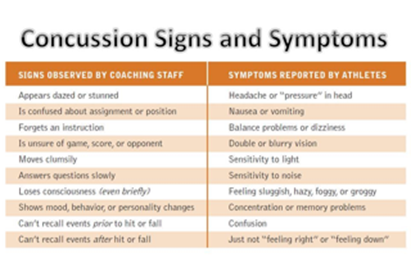 Key to management of a concussion is complete physical and mental brain rest, which will include time off work and no sports participation. Your physician should implement a gradual return to work/ sport plan with you. You should not return to hockey until you have been completely symptom free for 1 week. During a BBQ a woman stumbled and took a little fall – she assured everyone that she was fine (they offered to call paramedics)… she said she had just tripped over a brick, because of her new shoes. Jane’s husband called later telling everyone that his wife had been taken to the hospital – (at 6 PM Jane passed away.) She had suffered a stroke at the BBQ. Had they known how to identify the signs of a stroke, perhaps Jane would be with us today. Some don’t die. They end up in a helpless, hopeless condition instead. A neurologist says that if he can get to a stroke victim within 3 hours he can totally reverse the effects of a stroke…totally. He said the trick was getting a stroke recognized, diagnosed and then getting the patient medically cared for within 3 hours, which is tough. -is there any way[s] that the average person[with no symptons] can confirm that he or she may have arterial blockage without going through a hospital procedure eg angiogram etc? Possibly a stress test. They put you on a treadmill and attach electrodes to your heart and see if supply can keep up with demand. Can do with chemicals in some as too obese or otherwise unwell to do activity. Not a perfectly accurate test but less invasive. -if a person has no known cardiovascular issues[high blood pressure,diabetes,high cholestorol level etc],isn’t overweight,doesn’t drink or smoke,can he or she still have arterial blockage that could cause a heart attack or stroke? Unfortunately yes. But this does not mean we need to investigate everybody. -can high blood pressure cause arterial blockage? If so,how? -can high levels of stress cause arterial blockage? If so,how? Yes it can. Depression can triple your risk of heart attack. We don’t totally understand.. possible neiro-hormone related and stress can make your arteries “twitchier”. Also-in the case of angina, stress simply increases your heart rate which can tip you into symptoms. -does most arterial blockage occur near the heart? If so,why? -is clearing the blockage with an angioplasty and stent more efffective and superior to a bypass? If so,why? Tough one. Not more effective and you have to usually repeat more often but less invasive. For people who have one or two bad arteries probably preferable. Also good evidence that graded exercise very effective for single vessel disease. -what are the chances of the bypass clogging after the procedure[assuming the person has followed doctor’s orders 100% after the operation] ie what is average number of number of years before clogging could start to occur? -of all the factors that cause arterial blockage, what is the #1 factor and the one you are concerned about most? -is there any foods, liquids, non-prescriptive pills, tablets, special diets etc that are effective in aiding the self-cleansing process of the arteries? If there are, could they possibly clear minor clogging of the arteries eg 10 to 40% clogging over a period of time? Short answer. Aspirin, colourful vegetables, Mediterranean diet.daily activity- walking.Positive outlook. -if you were to recommend the very best book on the heart and related issues for the average person, what would it be? Not sure maybe heart for dummies and “love in the time of cholesterol” for more of a story.